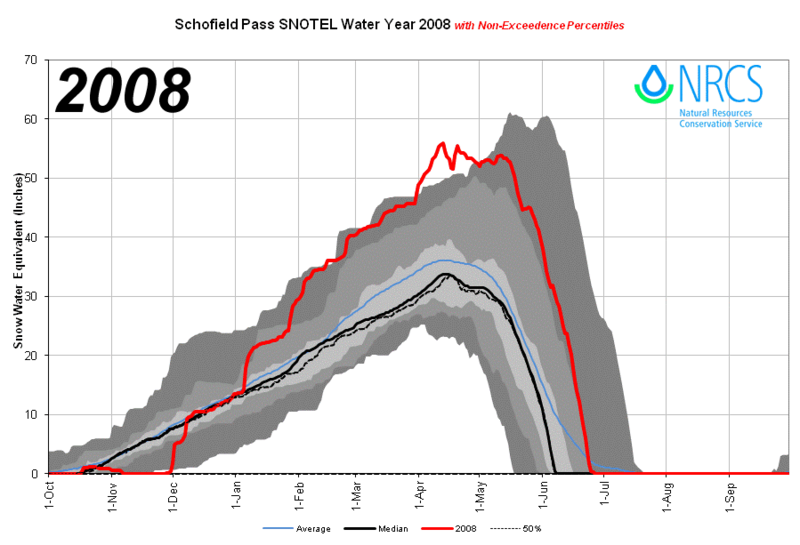 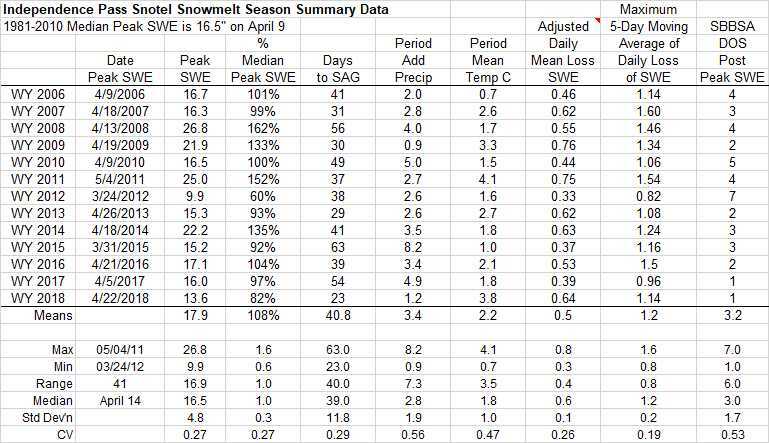 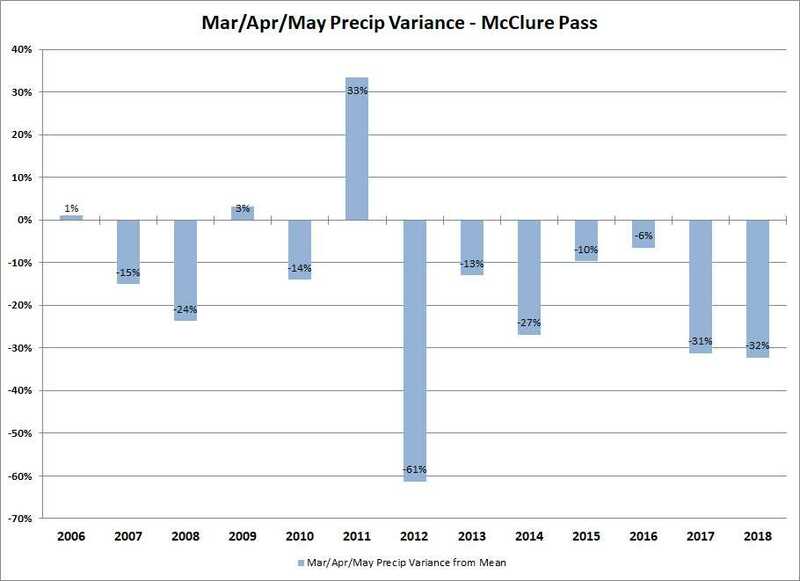 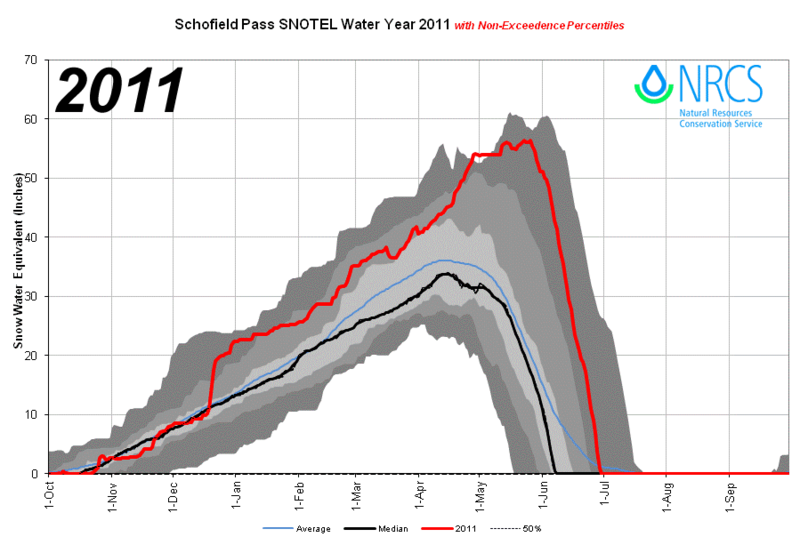 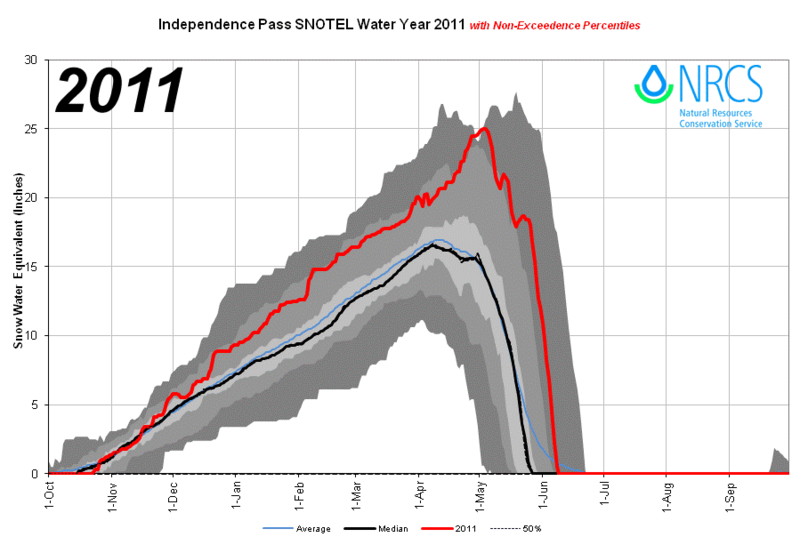 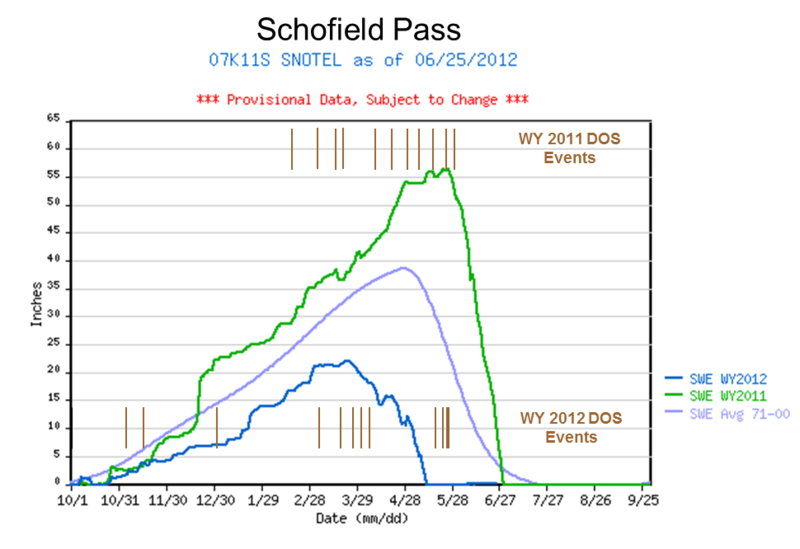 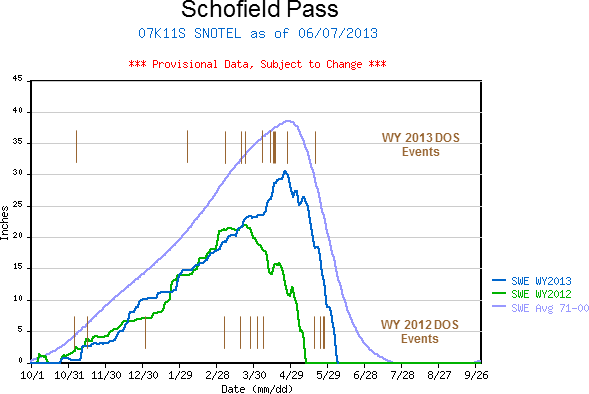 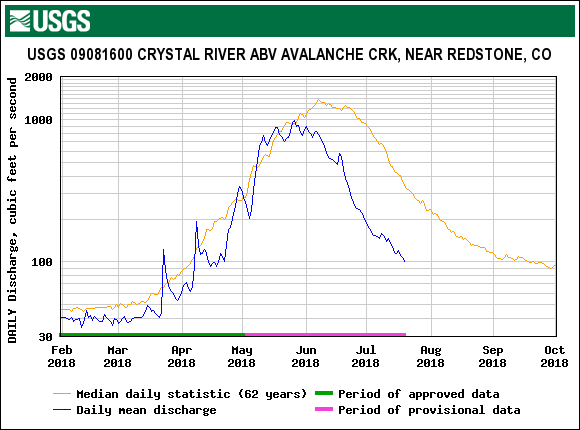 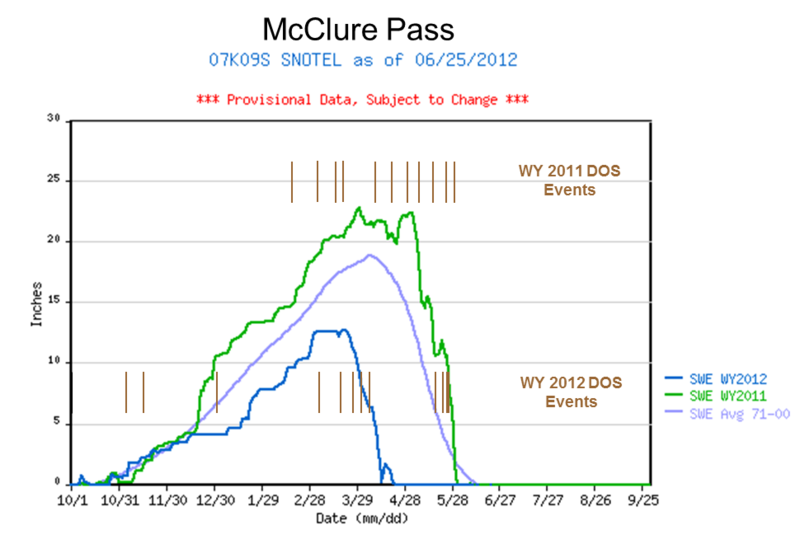 Analyses of McClure, Schofield and Independence Pass Snotel data for Water Years 2006-2017 snowmelt seasons showing date and quantity of peak SWE, days from peak SWE to "snow all gone" (SAG), total additional precipitation after the date of peak SWE, an "adjusted" mean daily rate of snowmelt adding the additional precipitation to the peak SWE total, the maximum five-day moving average of daily melt, and the mean air temperature over the entire snowmelt period, from peak SWE to SAG. POR refers to each snotel's entire period of record. 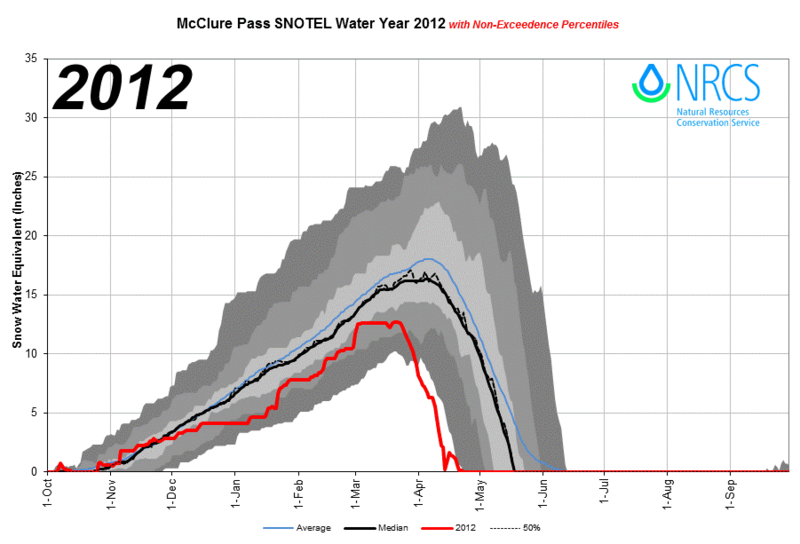 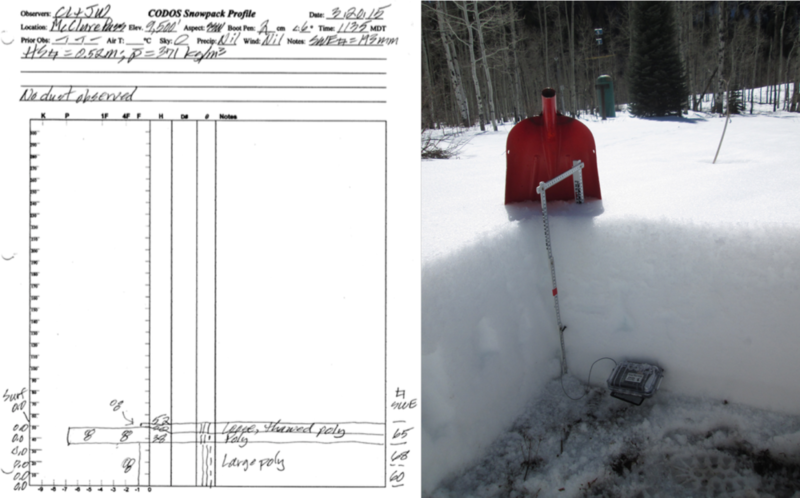 Download: All 11 CODOS Snow Profiles at McClure Pass (and 1 from Independence Pass), WY 2009 - WY 2013 (pdf). 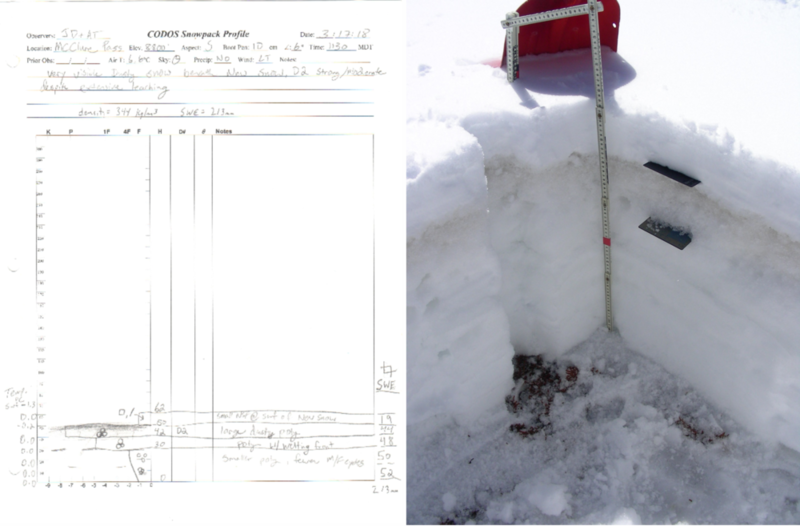 Dust-on-snow fieldwork photos available for publication. 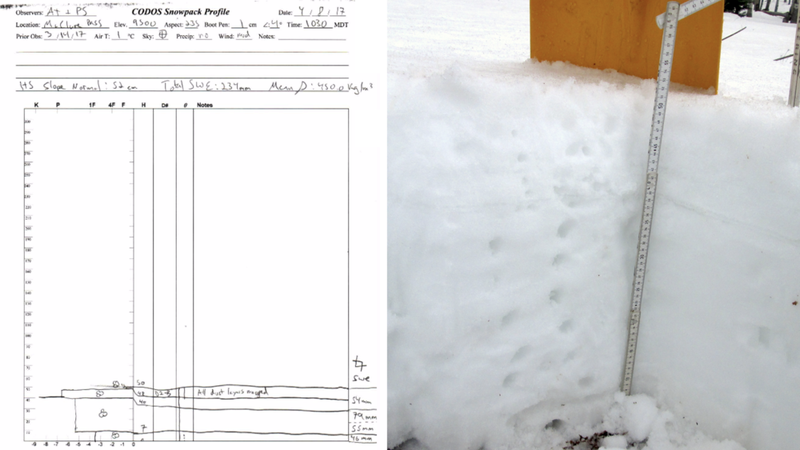 Please send requests for additional photos or for captions to jderry@snowstudies.org. 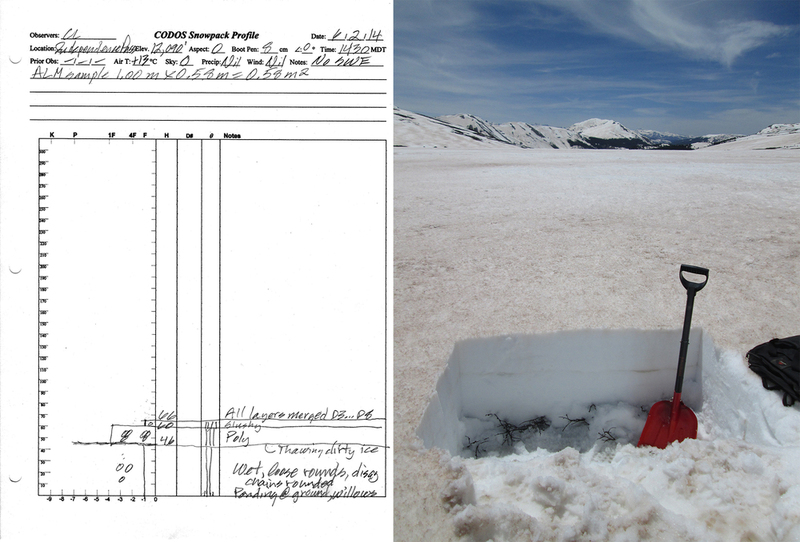 All Photos © Center for Snow and Avalanche Studies.